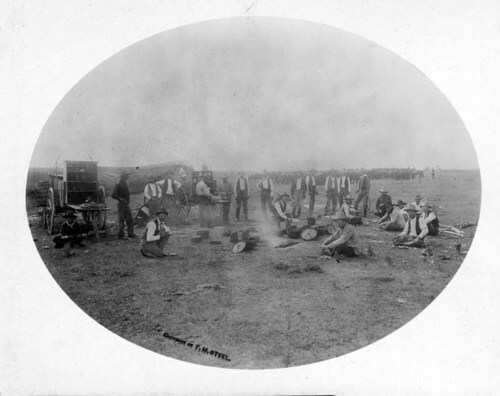 Cowboys seated and standing around two chuck wagons at the Clark County general round-up near M.C. Campbell's ranch. A herd of horses is visible in the background.